Weissach-born Herbert Linge is part of the history of Porsche – and Porsche has in turn played a major role in the life of Herbert Linge. His first plant ID was dated 7 April 1943. Herbert Linge raced at a number of circuits all over the world, entering the 24 Hours of Le Mans on 11 occasions, winning the 1963 German GT championship and taking the Porsche 356 to victory at the Tour de Corse with Paul-Ernst Strähle in 1960. But there is more to this story: Porsche had an influence on his whole working life, as his plant ID dated 7 April 1943 showed only too well. ‘I was one of the first apprentices to join Porsche,’ recalled Linge, who was born in Weissach in 1928. In 1949, he was the first mechanic hired by Porsche once the company had been re-established in Stuttgart. As with all employees at the fledgling firm, Linge served as a jack of all trades and was quickly given the role of test driver. The racing drivers recognised the value of having a colleague with hands-on experience of every last bolt on the car. In 1952, 1953 and 1954, Linge was responsible for setting up the Porsche cars that achieved class wins at the Carrera Panamericana. Linge enjoyed frequent success in the cockpit. Serving as Hans Herrmann’s co-driver at the 1954 Mille Miglia, he was on hand to experience Herrmann’s legendary manoeuvre that saw the car zoom across a level crossing as the gates were closing – and subsequently record a class win. Linge then teamed up with Peter Falk, who would go on to become Porsche race director, at the 1965 Monte Carlo Rally as they took the new Porsche 911 to fifth place in its first ever race. 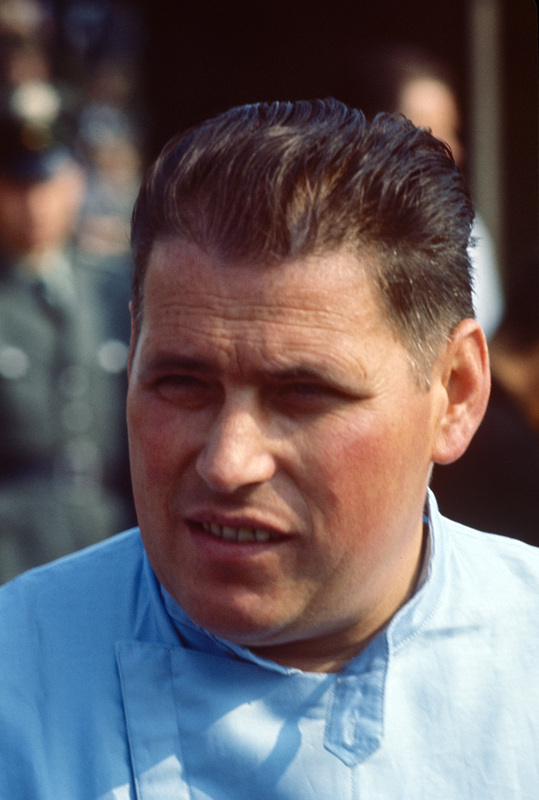 In 1968, Linge, Willi Kauhsen and Dieter Glemser finished first in the 84-hour Marathon de la Route event at the Nürburgring. Linge achieved a total of 90 class wins and six international records, also participating in 40 World Championship races. In addition, he was responsible for ensuring that the Porsche research and development centre was established in Weissach. When Ferry Porsche was searching for a suitable location in the early 1960s, Linge suggested that the firm consider his home town. After a test circuit entered operation in Weissach in 1962, the research and development centre was opened there in 1971. Linge returned to his roots after stepping back from the world of racing, taking on a managerial role at the Porsche research and development centre in Weissach between 1972 and 1987. He continued to travel to circuits all over the world following his retirement – no longer as a racing driver, but as part of the ONS safety team that he had founded in 1972. He remained head of this outfit until 1990 and his efforts in relation to mobile track safety crews have helped save drivers’ lives ever since. Linge was awarded the German Federal Cross of Merit in 1982 in honour of this work. He took over the running of the Porsche Carrera Cup as of 1990 and continues to drive models from the Porsche Museum at historical rally events to this day. Linge’s co-drivers are always amazed by the sheer precision of the old master’s driving style.